"Warning: To those who pass through these doors with open minds and open hearts stand to be forever changed"
There are hundreds of different styles of martial arts currently in existence. Each style puts its own twist on self defense and self growth. Each of these styles has different strengths and weaknesses. Our school's belief is that if a student were to open their mind to see the beauty and benefits of all styles, this attitude will help lead them to become a more whole martial artist as well as better "equipped" to defend themselves in any and all situations. With an open-minded approach, Pil-Sung Martial Arts is changing the way we think about martial arts training. Pil-Sung Tae Kwon Do opened its doors in 2005, to share Master Grogin's passion for Martial Arts with both children and adults in the Capital Region. In 2007 we changed our name to Pil-Sung Martial Arts in order to represent the multitude of diverse styles that the school would go on to be home to. 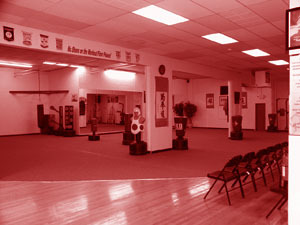 In 2008, Pil-Sung expanded to house two seperate studios under one roof allowing for simultaneous classes and the ability to offer more options within a single evening. 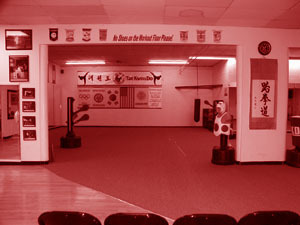 A Korean Martial Art based a martial art that combines combat and self-defense techniques with sport and exercise. Kumdo is composed of meditation, basic movements, sword patterns, cutting and sparring techniques. Extreme martial arts is a mix of traditional martial arts styles with added gymnastic/acrobatic moves, and action movie performance aspects.